I first heard and wrote about the Forage Kitchen in June when I saw founder Iso Rabins speak at a food startups panel. To summarize briefly, Iso envisions Forage Kitchen as “a hub for the SF Bay Area food community” including an incubator, a co-working space, a rental kitchen, a microbrewery, a meat curing facility, a café and retail space, a rooftop garden, and more. Iso used Kickstarter to kick-off the funding for the kitchen and successfully raised $156,000 which he’ll supplement with future funding rounds. I contributed to the Kickstarter campaign and in exchange received two tickets to a special Wild Kitchen dinner this past Thursday night. It was the first of Iso’s dinners I’ve attended and it was pretty special. 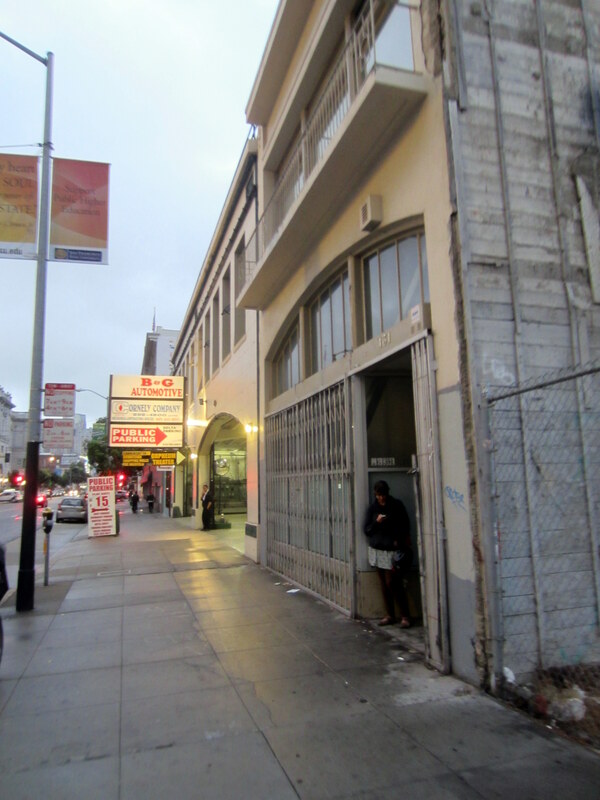 It was held in an unmarked building on Mission at 8th. The menu featured local ingredients foraged by Iso and his team: he gathered the sea beans himself in Western Marin. His friend and volunteer had picked all the nasturtium and eucalyptus leaves herself. 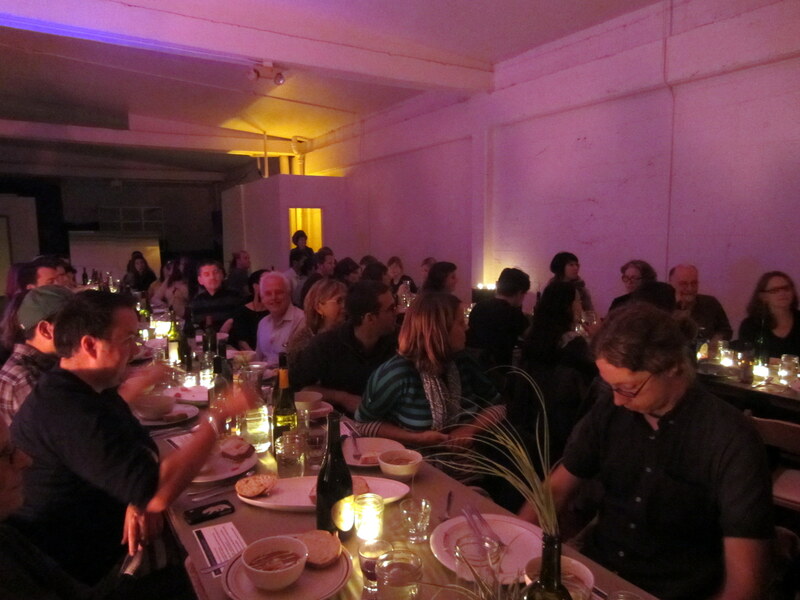 I was amazed they managed to pull off such a delicious, local, sustainable dinner for so many people at once. If you want to be in the loop on future Wild Kitchen dinners sign up for their mailing list here. Highlights from the night were the porcini bisque, the chanterelle and lobster mushroom stuffing, and the eucalyptus popsicles, along with interesting conversation with the new friend sitting around us. Iso will be hosting a brainstorming event soon to get ideas from the community for the layout and design of the kitchen. I’ll post the info on my events tab once I have. Stay tuned. This entry was posted in Uncategorized and tagged Eating, ForageSF, Making food. Bookmark the permalink.